Book Production: Royalties vs Profits – Are You Making the Most of Your Potential? As indie authors, we may glory in our potential to earn as much as 70% royalty on each ebook we sell, but as author-publishers, unlike trade-published authors, we are also responsible for the costs required to bring our books to publication. If we are trade on a par with professional publishing companies, rather than as hobbyists, we need to manage these costs effectively. ALLi Author Advice Center editor Debbie Young provides a handy summary of the costs to look out for as you self-publish your book, and shows you how to reduce those costs by joining ALLi. 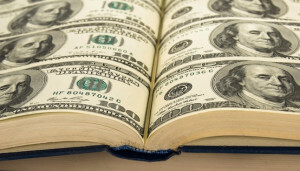 Whereas those contracted to one of the Big Five publishing houses will typically earn around 5% of a book’s cover price, self-publishing authors can earn as much as 70% of the retail price of an ebook, distributed via KDP (Amazon’s ebook platform), if you’ve priced your book within their preferred price parameters ($2.99-$9.99). Print books offer a narrower margin, and the price differential is not as clear cut as with ebooks because the cost of production varies according to the size of book. Generally, the more pages, the slimmer the margin. But there is still strong potential to exceed the industry standard, depending on where you set your prices. This dizzying disparity in potential royalty should not allow us to lose sight of the fact that as indies, we bear all of the responsibilities and costs of a publisher, as well as the writing of the manuscript. It’s too easy for beginners to confuse royalty with profit. Strictly speaking, you can get away without buying your own ISBN, if you’re prepared to use your distributor’s free one, but that means you won’t be the publisher of record, and won’t own the right to use the ISBN elsewhere. Some distributors allow you to upload your files for free, e.g. Amazon’s CreateSpace and KDP, while others make an upfront charge, e.g. IngramSpark, our recommended partner for gaining distribution of print books to bricks-and-mortar bookstores – but all of these will charge you eventually, claiming their share of your sale price for every book sold. Even with a 70% royalty per ebook, you have to sell a lot of copies to recover your investment in the production costs. Wise investment in marketing may help you arrive at profitability sooner, but it makes sense to contain your costs as far as you can at the production stage without compromising on quality. As with most things in life, you tend to get what you pay for in this business. Buy in a very low-cost service, and you’re likely to get a low standard of work. If you’re lucky enough to have a particular skill in one area, such as editing or cover design, you can save costs by swapping services with other authors who have a complementary skill – swap an edit for a cover design, for example. 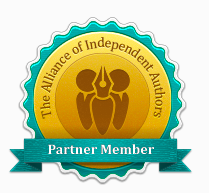 One easy way to contain your costs – and to make your self-publishing ventures more financially viable/profitable – is to join ALLi, which will enable you to take advantage of the discounts and deals available exclusively to ALLi members. All ALLi members may gain professional standard services without paying the full price, all from tried-and-trusted Partner members whose quality meets the ALLi Watchdog’s high standards. The list of discounts and deals is constantly being extended as new Partner members join, but they are all substantial. Many members report that the savings they make each year add up to far more than their annual ALLi membership fee (currently $99). IngramSpark’s generous waiver of its fees for uploading and amending files is in itself enough to cost-justify joining. To check out the range of services available from our Partner members, check out our newly-updated Services Directory online here. When you join ALLi, you will be given access to our Discounts and Deals pages of our membership website giving you more details of how you can save on production costs.